We live in a world of consumption with products that are becoming increa- singly technical, cold and impersonal. Rapid change and the constant need for re-invention leaves us longing for products with an emotional resonance that tell a story. 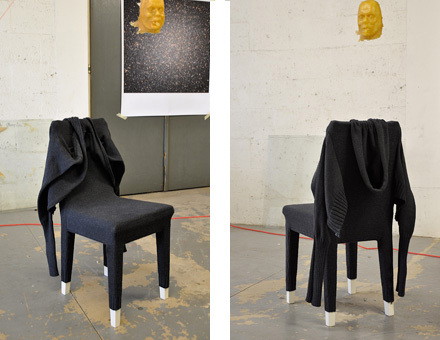 Ready to wear chair is about simplicity in material and in meaning. 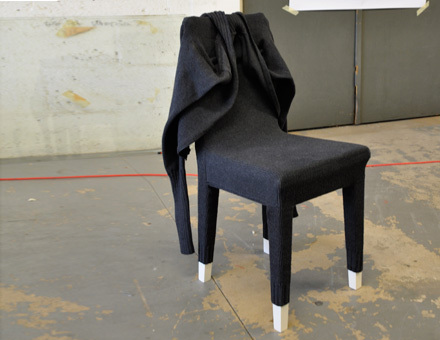 The chair describes the importance of intimicy, protection, warmth and comfort. We all take life so seriously these days. And we should. But take a moment, smile and sit down ! 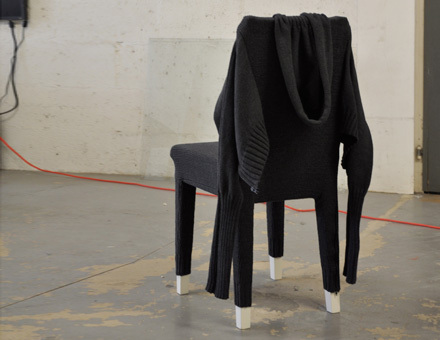 Research project resulting in a knitted chair that can be worn.